So who is Sinestro? Just one of the most badass DC characters in print right now. He’s popularly known as the evil nemesis of Green Lantern Hal Jordan, wielding his fear-based yellow power ring. But before he turned into a villain though, Sinestro was originally a member of the Green Lantern Corps and even recognized by the Guardians of the Universe and fellow Corps members as the greatest Green Lantern. That is until he was stripped of his powers and replaced by Hal Jordan as the greatest. Sinesto’s been receiving a lot of attention lately, even finally having his own series debuting last May. From an ordinary villain, his backstory and intentions were fully developed by famed DC Comics writer Geoff Johns, thereby transforming him into a complex and intriguing character. For those who want to know more about our mustached anti-hero, here’s some trivia about him that are not commonly known. The Green Lantern ring is often said to be the most powerful weapon in the universe, as its power is only limited by the willpower and imagination of the person wielding it. The rings were forged by the Guardians of the Universe, some of the most powerful beings in existence, using all of their accumulated knowledge and skills. While the rings do need to be recharged after a certain period, it was thought to be inconceivable that they can be destroyed. Up until Sinestro casually informed Hal Jordan that he had previously destroyed 2 by overexertion. Imagine the sheer willpower Sinestro possesses to be able to overload a Green Lantern ring. And that’s not all. As the founder of the Sinestro Corps, he has absolute mastery over them and the yellow central battery. Destroying a yellow power ring is no difficult task for him. The Green Lantern Corps has a tradition of having several individuals from the same family serve in the Corps. 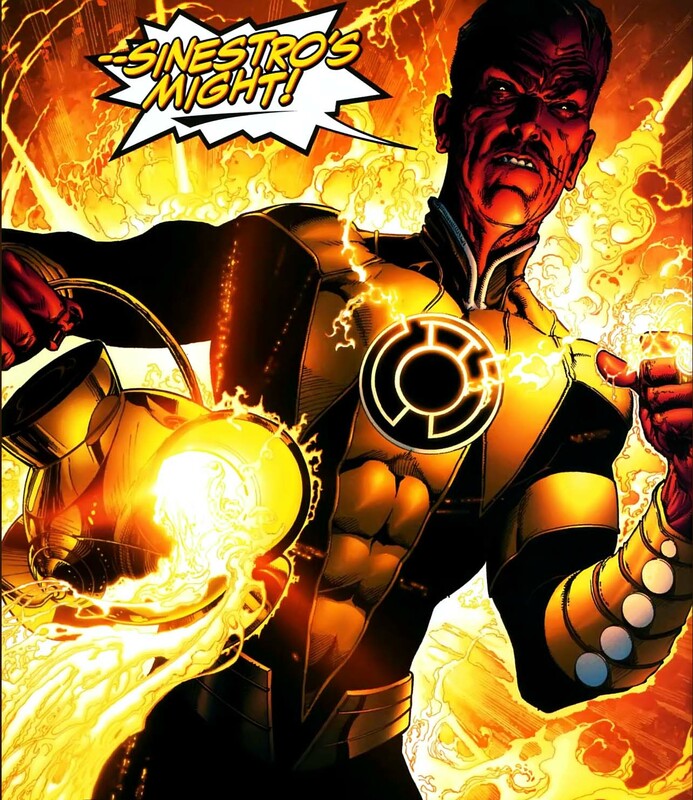 Sinestro might be more familiar to everyone as a Lantern of Fear, but part of his famous back story was that he was originally a Green Lantern before being stripped of his ring and imprisoned after the Guardians of the Universe learned that he abused his power by ruling his home planet of Korugar as a dictator. But aside from him, his brother-in-law was also a Green Lantern. A powerful and respected Lantern by the name of Abin Sur, the same Lantern who crash landed on Earth and chose Hal Jordan to succeed him. 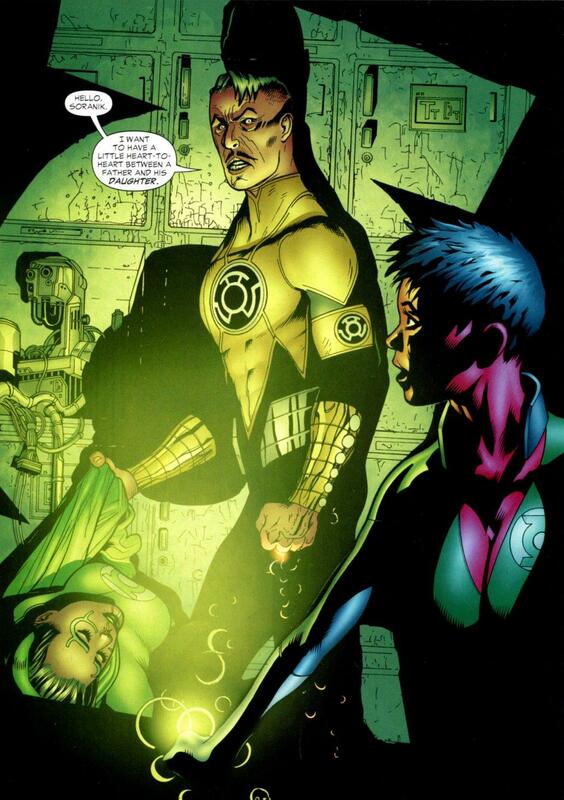 Sinestro married Sur’s sister and they had a daughter whom they hid for her protection. 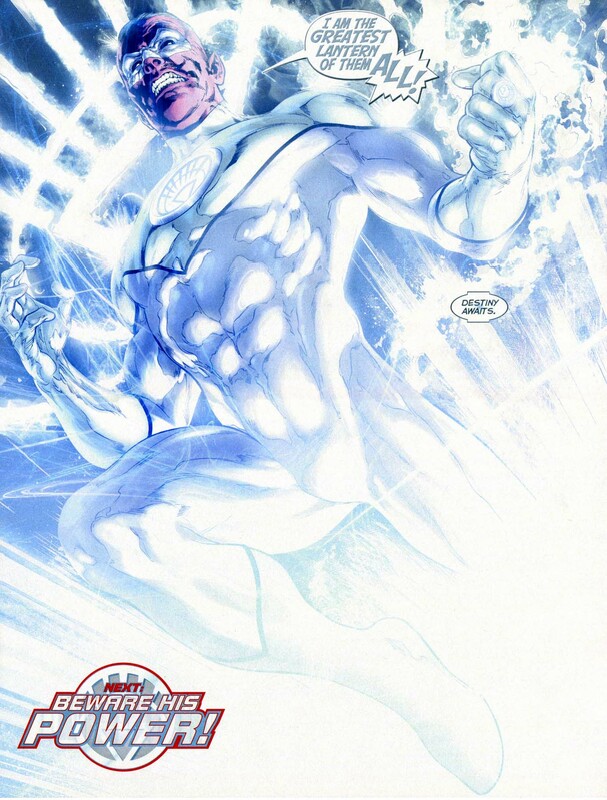 Only recently did we find out that it was none other than Soranik Natu, a renowned surgeon on Korugar who was also selected by the Green Lantern ring. Without a doubt, the most well-known attribute of a Green Lantern power ring is its ability to create physical constructs based on the mental images made by the Green Lantern. They can be anything from a wild animal, a complex machine like a gun or a tank, or a plain old giant fist as favored by Jordan. But Sinestro isn’t just your ordinary Lantern, he’s achieved a feat nobody else could boast of. 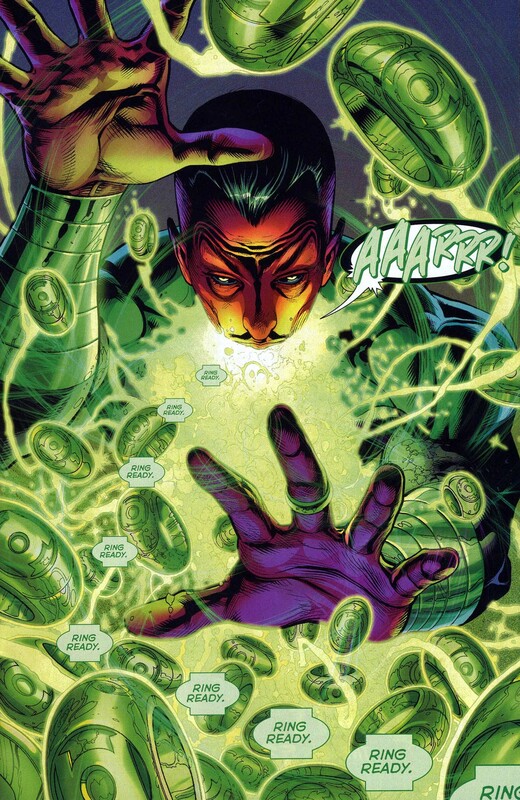 While other Lanterns make do with regular constructs, Sinestro is able to create fully functional Green Lantern rings. Think about it. His constructs can create their own constructs! 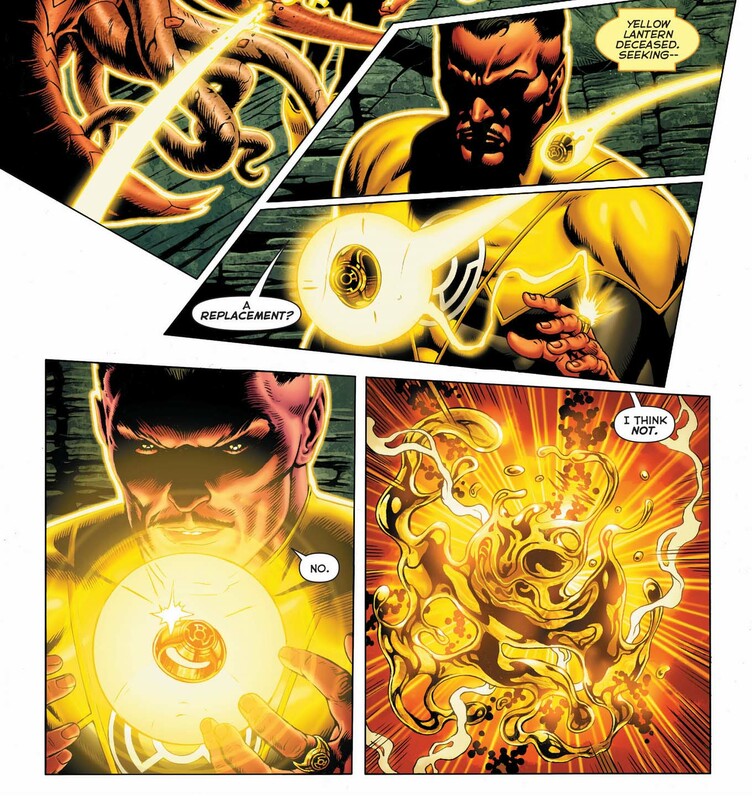 And because that’s not enough, let it be known that Sinestro can create more than one ring in an instant. This is probably the most surprising of all. The history between these two individuals is enormous. It’s the old familiar tale of the apprentice going against the master. Former partners locked in a bitter struggle. For all intents and purposes, Sinestro is the Magneto to Hal Jordan’s Professor X. Sinestro doesn’t think he’s evil and believes wholeheartedly that all he’s doing is for the good of the universe. After countless battles against each other where any one of them could have died, Sinestro delivered this shocking line to Jordan after working together to save the universe from a mad Guardian. Regarding #4, this was not just Sinestro being able to do this, back before Kyle Rayner became the green lantern, all green lanterns were able to create power rings from their rings. In fact, I THINK that all the colors of Power Ring could manage that? Even the Orange one was able to deputize someone (Lex Luthor) during Blackest Night, though those deputies were 24-hour temporary cases and I don’t know if the Rings stuck around afterward.